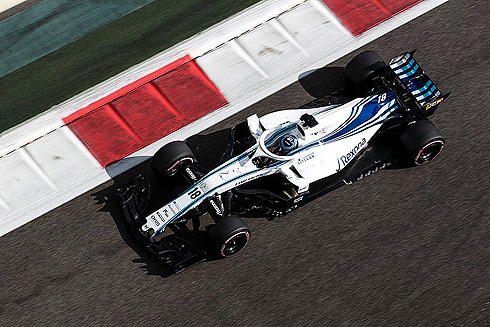 The results of qualifying for the 2018 Abu Dhabi GP did not produce any surprise reults for the Williams Martini team with their drivers finishing in a disappointing 19th and 20th. Sergey Sirotkin would finish ahead of his team-mate Lance Stroll but for the pair it was a tough time with both drivers coming away very frustrated with how the session turned out. 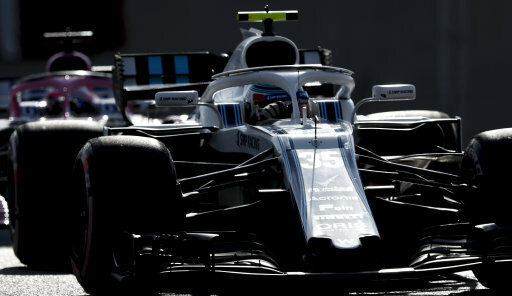 Now as for Sundays race, a race that will be the last at Williams for both drivers, it will be more of the same based on the lack of pace in the sessions leading up to the race. After the first runs it would be Vettel quickest, 1m:39.946, followed by Raikkonen, Hamilton, Bottas, Leclerc, Ocon, Perez, Gasly, Hartley and Ericsson tenth. All the times had been set on the hypersoft tyre. Ricciardo and Verstappen would go fourth and fifth followed by Bottas and Grosjean. Hulkenberg and Sainz were now seventh and ninth. 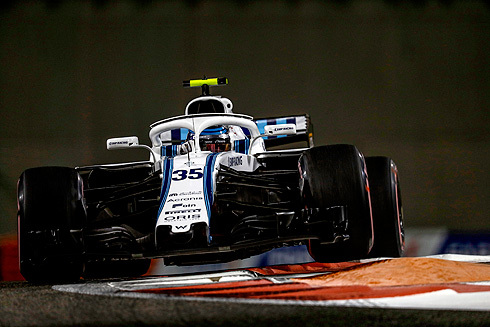 Leclerc had dropped to tenth and the Williams drivers were now 19th and 20th and with four minutes remaining both were back in their pits. The top nine cars would all remain in the pits but the rest of the field were all back out for their second runs. Bottas was now second and Hamilton third with Raikkonen now fourth. Ocon would move into fourth and Leclerc seventh. After their second runs both Williams drivers would remain 19th and 20th and out of qualifying. The top ten was Vettel, Bottas, Hamilton, Ocon, Raikkonen, Ricciardo, Leclerc, Verstappen, Perez and Hulkenberg tenth. The second period of qualifying would see Hamilton fastest, 1m:35.693 followed by Verstappen, Vettel, Bottas, Leclerc, Hulkenberg, Grosjean, Raikkonen, Ocon and Ricciardo in tenth. Several drivers had set their quickest times running on the ultrasoft tyre including Hamilton and Vettel. The final period of qualifying would see Hamilton quickest from Bottas, Vettel, Raikkonen, Ricciardo, Verstappen, Grosjean, Leclerc, Ocon and Hulkenberg in tenth. For the Williams team Sunday's race is again going to be a difficult time with both drivers seriously lacking pace to produce a result. Lance's first lap time was a 1m:40.164 to see him ninth also using the hypersoft tyre. Lance would also pit after a three lap run. Lance would also drop down the order as more drivers set times dropping to 14th. This would become 20th and would return for a second run again on new hypersoft tyres. Lance would set a 1m:38.682 to be 19th. This would become 20th and he was out of qualifying. Sergey's first lap would see him set a 1m:39,691 to currently be seventh, using the hypersoft tyre. He would drop to ninth and would pit after a short three lap run. As others went quicker Sergey would drop to 12th. He would eventually find himself in 19th one place ahead of his team-mate. Sergey would return on another set of new hypersoft tyres. His flying lap would see a better sector one and two. He would set a 1m:38.635 to be 18th. He would drop to 19th and was out of qualifying..